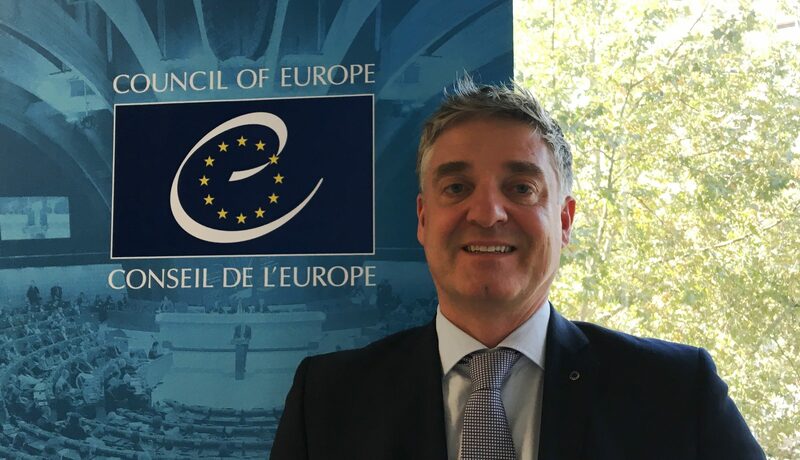 Interview with Tobias Flessenkemper, Head of the Belgrade Office of the Council of Europe, appointed by the Secretary General of the Council of Europe on 1 October 2018. His previous postings include the EU European External Action Service (EEAS) in Bosnia and Herzegovina, the Council of the EU in Brussels, Skopje and Sarajevo and the OSCE. European Western Balkans: What do you see as the most important challenges for Council of Europe’s Belgrade office in the coming years? Where do you expect your work to be focused? 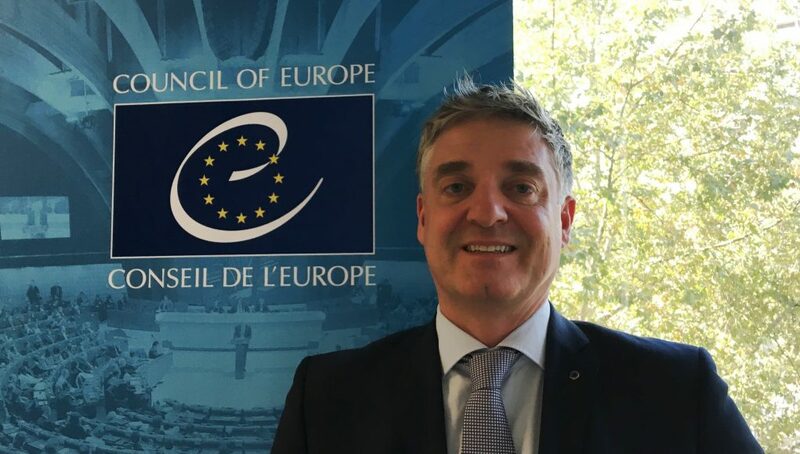 Tobias Flessenkemper: The common challenge for the Council of Europe is to uphold the values which are the common heritage of European peoples and the true source of individual freedom, political liberty and the rule of law, principles which form the basis of all genuine democracy. The main task of our office in Belgrade remains to assist the country in its process of developing and maintaining the highest democratic, rule of law and human rights standards. It is important to recall that the Council of Europe is in a unique position to support members as the leading standard setting organisation in these three fields which underpin European integration: in doing so we can draw on the experiences of all our member states. Over the last years, the Office, in close cooperation with the Serbian authorities, has supported reforms in the areas of democratic institutions’ development, the rule of law, human and minority rights, including rights of the Roma and the LBGTI community, local and regional self-government. It has promoted co-operation in economic, social, cultural, scientific, legal and administrative matters, and thereby supported the realisation of human rights and fundamental freedoms by all people in Serbia. EWB: What do you consider to be the most important challenges for Serbia’s democratization? TF: Serbia became the 45th member of the Council of Europe in April 2003, a development that was the natural consequence of the major political changes of autumn 2000. This allowed Serbia to claim its rightful place among the democratic states of Europe. Today, in 2018 the challenges related to the functioning of democratic institutions have evolved further. At the occasion of the ceremony marking the 15th anniversary of Serbia’s membership in the Council of Europe few weeks ago in Strasbourg, Secretary General Thorbjorn Jagland pointed out that we are ready, including with our office in Belgrade, to accompany Serbia’s ambitious plans for institutional change and reform by providing our best expertise – in the interests of all people in Serbia. For instance, the Venice Commission – the expert body of the Council of Europe for democracy through law – had been asked by the Serbian government to provide its opinion on two sets of draft amendments of the constitution regarding the judiciary. The Memorandum of the Secretariat of the Venice Commission published in the end of October and taken note of by the Venice Commission at its October Plenary Session has stated that the recommendations earlier formulated by the Venice Commission were followed. This shows that the authorities have identified the area of judiciary as a priority alongside public administration reform to enshrine better governance and more inclusiveness in public affairs. EWB: What about media freedom? The European Commission’s report on Serbia clearly singles out this as a major problem and notes that there is no progress whatsoever in this area. TF: The Council of Europe Commissioner for Human Rights noted earlier this year many concerns about a deteriorating situation for the work of journalists and media. The Commissioner also found that the safety of journalists remains an issue of concern, and despite some efforts by the authorities to ensure a better institutional response to crimes against journalists, few such cases have been effectively prosecuted. We are implementing a joint project with the European Union to improve the situation. The JUFREX project works on reinforcing judicial expertise on freedom of expression and the media: one of the objectives is to enhance the application of the European Convention on Human Rights (ECHR) and the European Court of Human Rights (ECtHR) case-law in the field of freedom of expression in the daily work of the judiciary through the interpretation and implementation of the legislation in line with European standards. EWB: The state of local self-government is also one of the topics which attracted significant attention, especially after Saša Paunović, the mayor of Paraćin, submitted a letter to the Council of Europe, claiming that local self-governments which are in opposition to the ruling coalition at the national level are endangered. What do you expect can come out of this and what are Council of Europe’s mechanisms for addressing this problem? TF: The Congress of Local and Regional Authorities in Europe (CLRAE) has reviewed the state of local and regional democracy in Serbia in October 2017. Following the letter by Saša Paunović that you mentioned, the Congress Monitoring Committee at its meeting in Büyükçekmece, Turkey, on 28 June 2018, heard from him personally his complaint. The Committee took note of the comments of the Serbian Minister of the Public Administration and Local Self-Government in reply to this complaint, and decided to deal with the issue during the debate on the theme “Mayors under pressure”. So, already next week, on Tuesday, 6 November 2018 this matter will be discussed at the Chamber of Local Authorties during the next Congress Session in Strasbourg. Nebojša Zelenović, Mayor of Šabac, Serbia, is expected to address the meeting. Besides, upon invitation of the Serbian local authorities the Congress’ Monitoring Committee will convene in early 2019 in Belgrade. This will be an opportunity to discuss the state of local and regional democracy not only in Serbia but all over Europe. EWB: Serbia is one of the countries with the highest number of cases in front of the European Court of Human Rights in Strasbourg. Why is that so and what does Serbia need to do to improve this statistic? TF: Serbia is not among the leaders in terms of the numbers of applications pending before the European Court of Human Rights. By the end of 2017 there were 940 complaints from Serbia, less than 2% of around 56,000 pending applications. In terms of the number of new applications registered per capita and new judgments delivered in 2017, indeed, Serbia was among the top-ten countries of the Council of Europe. However, it is also important to look at how Serbia implements the Court’s judgments, and here you will see that almost 90% of the cases since 2006 when the first judgment was delivered have been implemented and closed. Talking about the substance of violations found, of the 179 judgments by the European Court delivered since Serbia joined the Council of Europe, the majority are about violations related to the functioning of the judiciary such as non-enforcement of judicial decisions, fair trial and the length of proceedings. There is a link to the functioning of the judiciary and the constitutional reform. Offering training and raising awareness of human rights among legal professionals is essential to address these issues. We are therefore implementing the European Programme for Human Rights Education for Legal Professionals (HELP) also in Serbia. With HELP the Council of Europe supports its member states in implementing the European Convention on Human Rights at the national level. This is done by enhancing the capacity of judges, lawyers and prosecutors in Serbia to apply the Convention in their daily work. Indeed, legal professionals, who are at the forefront of the protection of human rights, including those of victims, must benefit from high-quality training. On 6 November we are holding a regional train-the-trainer event here in Belgrade. I am delighted to open the HELP training in the presence of the Ambassador of Croatia, as Croatia is holding until the end of November 2018 the Chairmanship of our Committee of Ministers. Furthermore, we are also supporting the provision of effective domestic remedies for human rights violations in Serbia in a programme that involves judges, prosecutors, lawyers, staff members of the High Judicial Council, State Prosecutorial Council, Republic Public Prosecutor’s Office, Supreme Court of Cassation, the Serbian State Agent before the ECtHR and the Judicial Academy. EWB: People frequently confuse the Council of Europe with the European Union and its institutions, and this is frequently visible in the media as well. When it comes to your office, what are some of your other activities? TF: Of course, given the similarities in the names of international and European organisations, the general public can be sometimes confused about who does what. The Council of Europe is the oldest European organization and focuses on human rights, democracy, the rule of law as well as cooperation in the field of youth, culture and education and other issues which transcend borders and tie Europeans together such as standards in bioethics. I already mentioned some of the projects we are implementing in Serbia in the areas of human rights, media freedom and the judiciary. I would also like to highlight our work in supporting the fight against trafficking in human beings as well as our common efforts in police and prison reform improving the human rights protection in both sectors. As of 2019 we will also support the human resource management of some 100 municipalities in Serbia, which should allow them to provide better services to citizens. This is a living example of local democracy. We are implementing this project with the EU Delegation in Belgrade. Another example is ROMACTED where we help Serbia with its objective to build up capacity and stimulate the empowerment of local Roma communities. These are two examples of specific projects, but we help partners in Serbia on all issues of cooperation in the Council of Europe such as education, youth, cultural heritage as well as our monitoring work in the area of anti-corruption within the Group of State against Corruption (GRECO) and MONEYVAL, Committee of Experts on the Evaluation of Anti-Money Laundering Measures and the Financing of Terrorism. EWB: What is nature of your cooperation with the EU institutions and how much is your office involved in the process of Serbia’s accession to the European Union? TF: The Council of Europe and the European Union share a common heritage and horizon, and of course the same flag. The Council of Europe will celebrate 70 years in 2019. 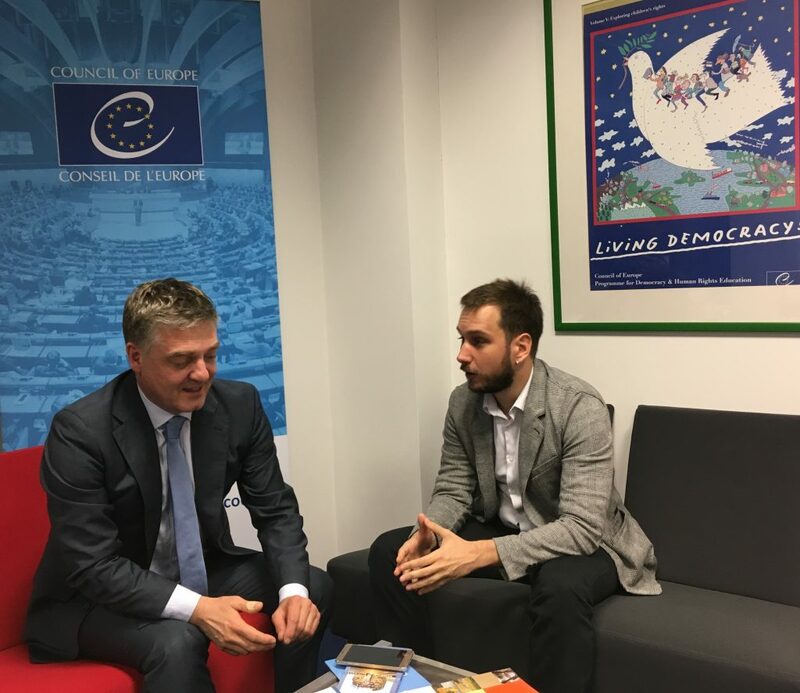 We are planning also a number of activities throughout the continent and in Serbia which will highlight the unique approach of the Council of Europe in fostering European integration and cooperation. In Belgrade we will also closely coordinate with the Finnish and French chairmanships of our Committee of Ministers. Finland joined the Council of Europe on 5 May 1989, this means 30 years ago, while France of course is a founding member. With Serbia celebrating its 15 years of membership these days, next year will allow us to jointly reflect on and mark the achievements of European cooperation. At the same time, of course, we are closely cooperating with the European Union at all levels as the EU shares and contributes to our norms and values. Furthermore 28 of our 47 member states are EU members. We are delighted to have as a main tool for cooperation the so-called “Horizontal Facility for the Western Balkans” which is implemented by the Council of Europe and funded by us and the EU. The name sounds a bit complicated but is actually quite simple. Serbia has applied to become a member of the European Union. In order to assist Serbia to meet the criteria for accession in the areas of democracy, human rights and the rule of law the EU and the Council of Europe have decided to work together. From an EU perspective these issues are dealt with in the chapter 23 and 24 of the acquis communautaire. With the Horizontal Facility we are mobilizing resources, expertise and projects in order to cooperate with Serbia in ensuring justice, in combating discrimination and protecting vulnerable groups, as well as in fighting corruption, economic and organized crime. We are currently developing the next phase of actions which shall start in spring 2019. We all hope that they have been producing a positive effect on developments in Serbia and helping the country to meet its European aspirations.